I made these as an accompaniment to the Shaking Beef I posted a couple of days ago. These were actually my favorite of the 2 dishes that day, but I have to say next time I will make them to feed a crowd. 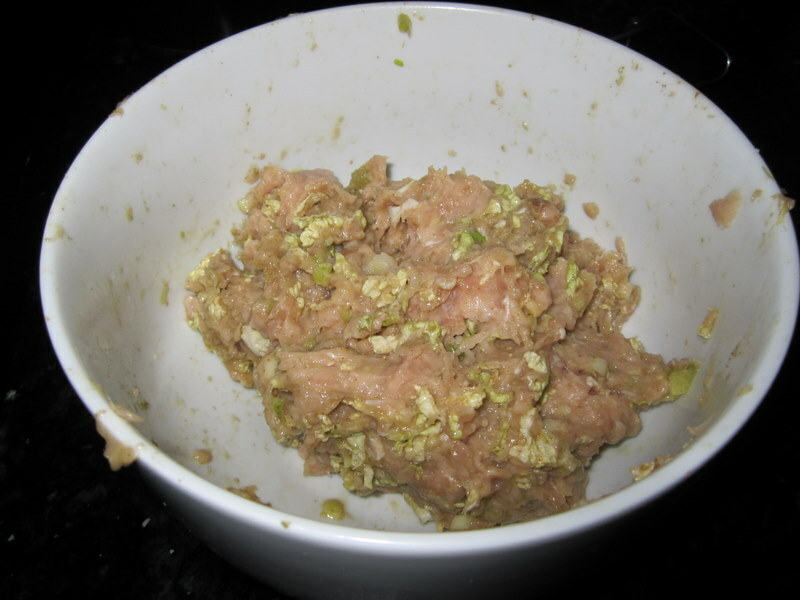 The original recipe below (also from the May 2010 Food and Wine) makes 4 dozen dumplings, and even halved I had tons of the filling leftover. It’s just a lot for 2 people to eat, but they were so yummy that they may go on this year’s holiday party menu. The dipping sauce that goes with them (recipe at the bottom of this post) is also delicious. I’ve included the full recipe here, which also has the dough recipe. But I almost always have pre-made wonton wrappers hanging out in my freezer, so I used those instead. Line a baking sheet with wax paper and dust with flour. Quarter the dumpling dough. On a lightly floured work surface, roll each piece of dough into a 12-inch rope. Cut each rope into 12 pieces and roll into balls; sprinkle with flour. Working with 5 or 6 balls at a time, roll to 3 1/2-inch rounds. Brush the excess flour off of the rounds. Spoon 1 tablespoon of the filling onto the center of each round. Bring up the sides of the wrapper; press and pleat the edges to seal in the filling. 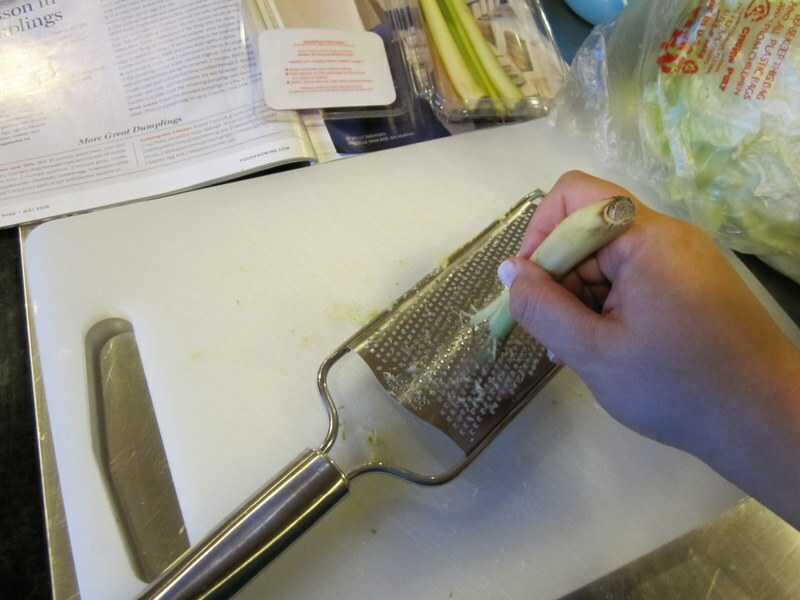 Lift each dumpling by the pleated edge, transfer to the baking sheet and press down lightly to flatten. Repeat with the remaining dough. In a very large nonstick skillet, heat 2 tablespoons of the oil. Arrange half of the dumplings in the pan, pleated edge up. Cook over high heat until the bottoms are lightly browned, about 2 minutes. 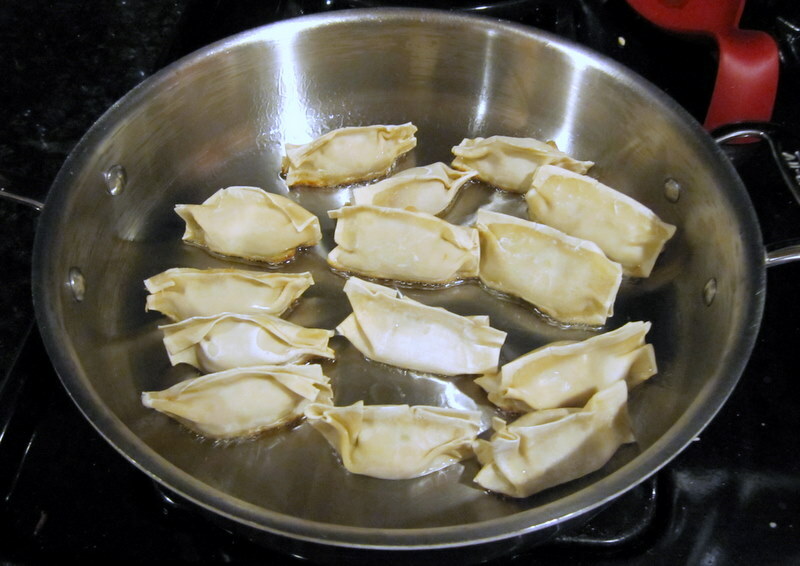 Add 1/2 cup of water to the skillet, cover and cook until the water is evaporated and the dumplings are cooked through, about 5 minutes longer. **Note: Be EXTREMELY careful when adding the water. If there’s too much oil still on the bottom of the pan and you don’t get that lid in immediately, it doesn’t react well. Trust me. Uncover and cook until the bottoms are well browned, about 1 minute longer. Transfer the dumplings to a plate. 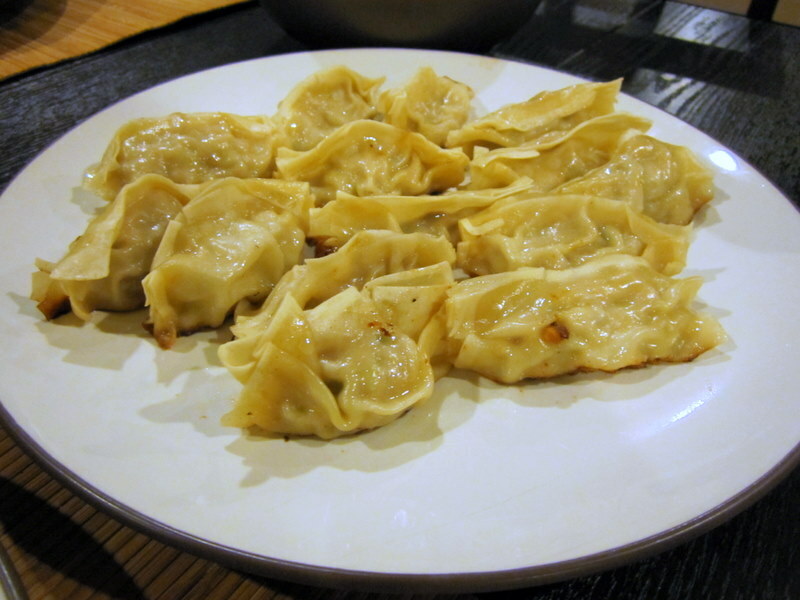 Cook the remaining dumplings in the remaining oil and serve with dipping sauce. 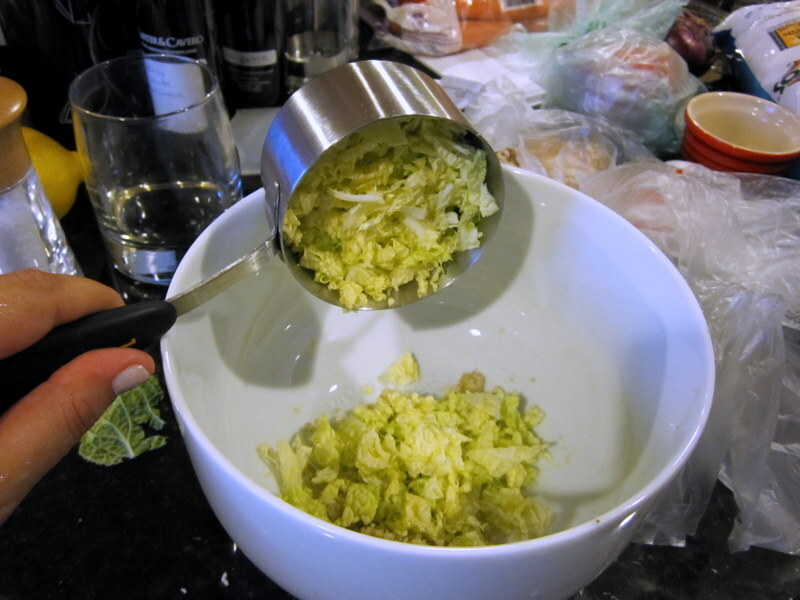 In a small bowl, whisk the soy sauce with the rice vinegar, chile-garlic sauce and sesame oil, then serve.